This statistic shows the results of a survey among adult Americans on whether they own a pet, or not. The survey was conducted in 2015. 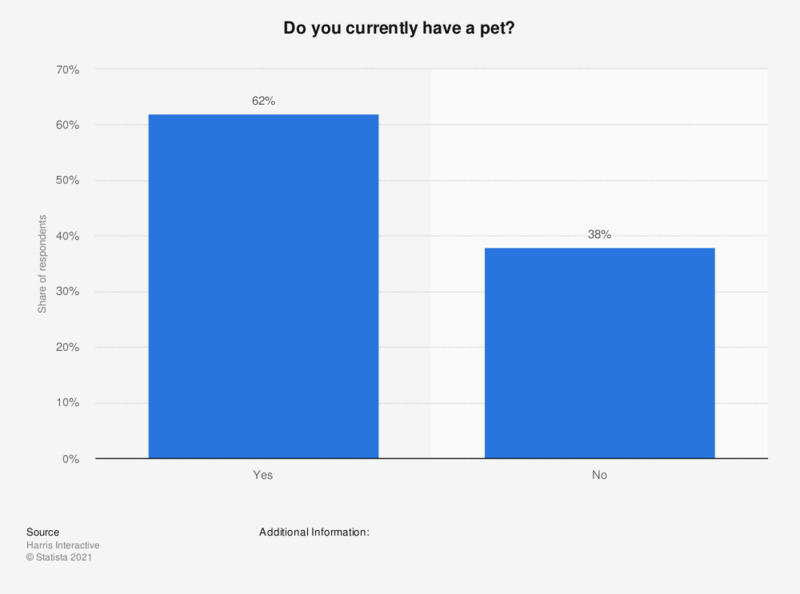 During this survey, 62 percent of respondents stated they have a pet.